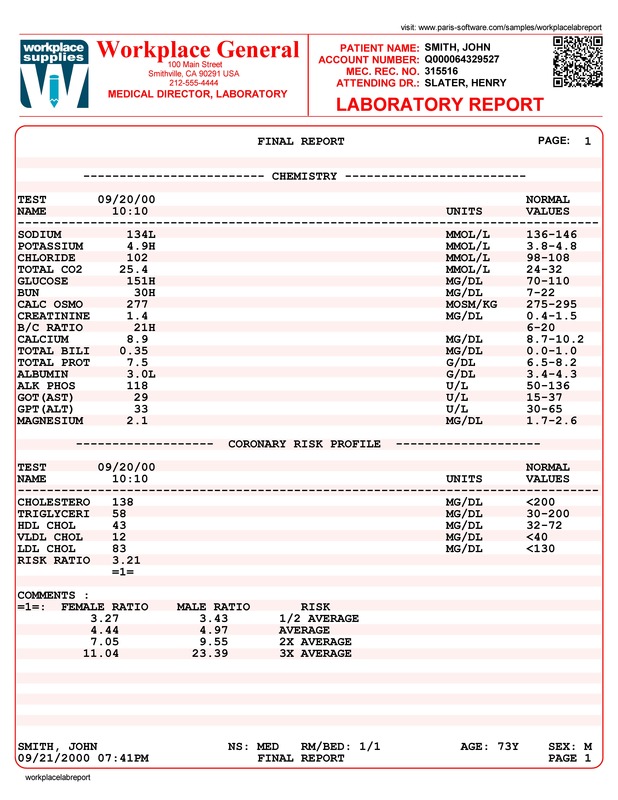 This sample shows how Paris can be used in the healthcare services industry to produce complex and expensive reports, such as laboratory reports, on plain paper. Use Paris conditional processing to highlight crucial results for attention. In this example, we are have re-designed an old pre-printed Lab Report form in Paris and then used it to print on plain paper. No changes are required to your host system or process. We can highlight critical results using a different color.